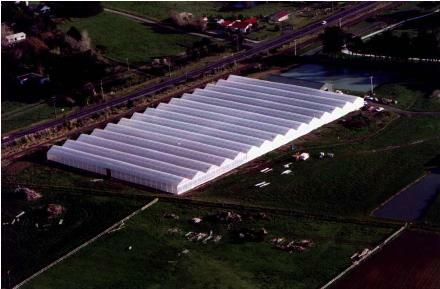 "When Only The Best Is Good Enough"
When Harford's introduced a clear span 41 ft truss (12.5 meter) ridge vented plastic skinned greenhouse to the commercial growers it had major effect on the whole industry. 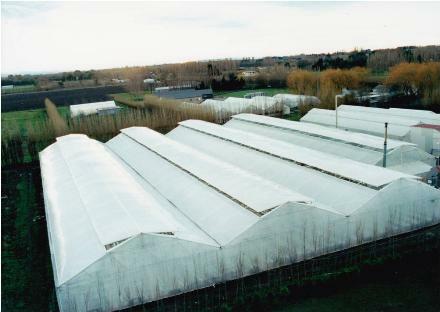 The large truss combined with columns of up to 13 feet (4 metres) gave equivalent growing conditions to a traditional Venlo design of over 16 feet (5 metres) without the associated heat loss. Ingenious design using unique sleeve jointing systems patented by Harford's to ensure a top quality structure built to exacting standards at a very realistic price. With cable fixed crop support wires, as standard, the Super Maxi is engineered for 3lbs per square foot (15 kilograms per square meter). And can also be easily modified for snow loading conditions when required. The Super Maxi Span is easy and quick to build, the strength of a fully welded connection is combined with single sleeve joint systems to give a simple on-site assembly without the need for expensive scaffolding or cranes. 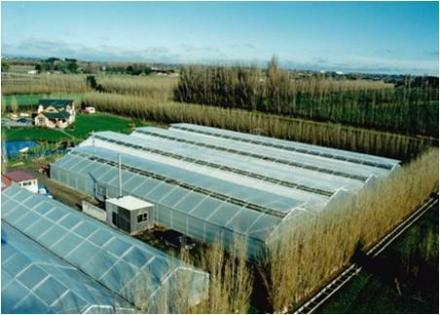 Tomato, Capsicum and Cucumber growers will find that they can easily fit over 16 rows of crop per span giving effective use of space. 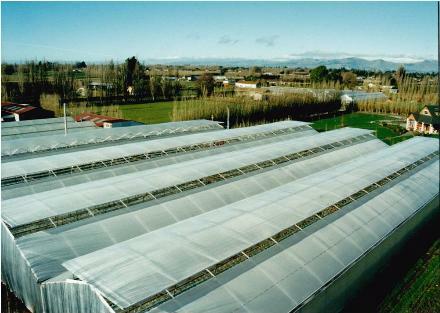 While at the same time the height of the Super Maxi Span offers ease of layering and crop management. 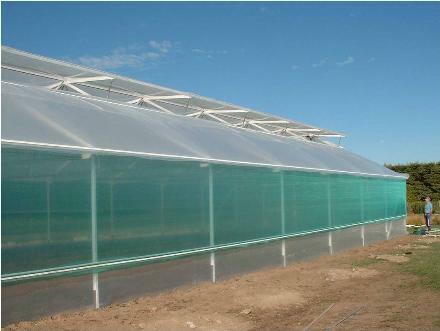 Flower growers and Nurseries will find that the larger span and height provides more efficient space for benching and automatic watering and gives a manageable buffer zone above the crop. 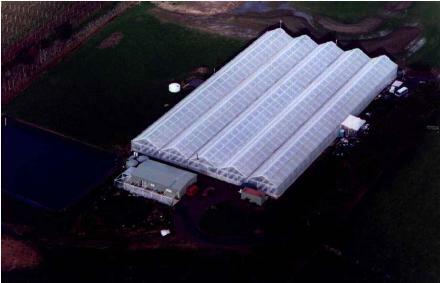 The trusses are fabricated in galvanised steel and can be powder coated to prolong cover life.Another benefit of the truss design is the ability to use it for support when maintaining the vents and covers, even when a full crop is planted.Covers are the latest technology twin-skin plastics, 200 micron on the outside and 150 micron inside, featuring UV stabilised polymers, EVA Infra-Red heat retention and anti condensation drip protection ensuring the best environment for your crop. 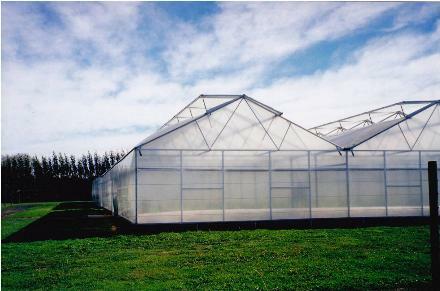 Guaranteed as standard for four growing seasons in the Southern Hemisphere and fixed with Harford's Cliploc to provide long life and a cost saving recover when required. 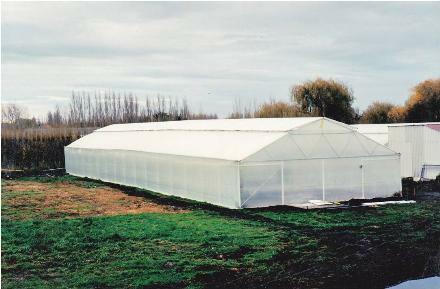 Size: Single or gutter connected 12.5 meter (41 foot) spans extendable lengthways in 3 meter (9 feet 10 inch) modules. 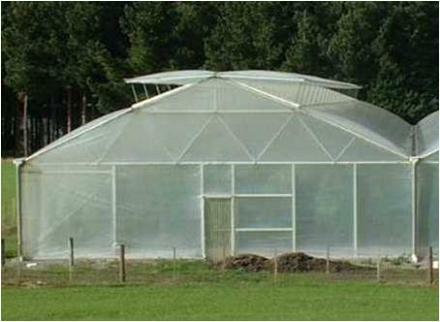 Ventilation: Double gull-wing ridge vents 5.8 metres (19 feet) wide. Doors: Single, double or triple door openings at any location. Automation: Single or three phase gearmotors as standard. 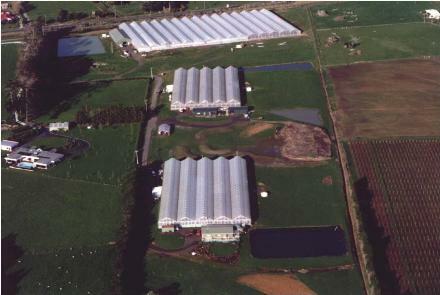 Temperature, wind and rain control systems available up to fully computerised environmental control system. All built to customers specification. Misting and fogging systems can be supplied if required. © Harfords (2015) Limited - All Right Reserved |Designed and Hosted by Design Shore Technologies NZ Limited.